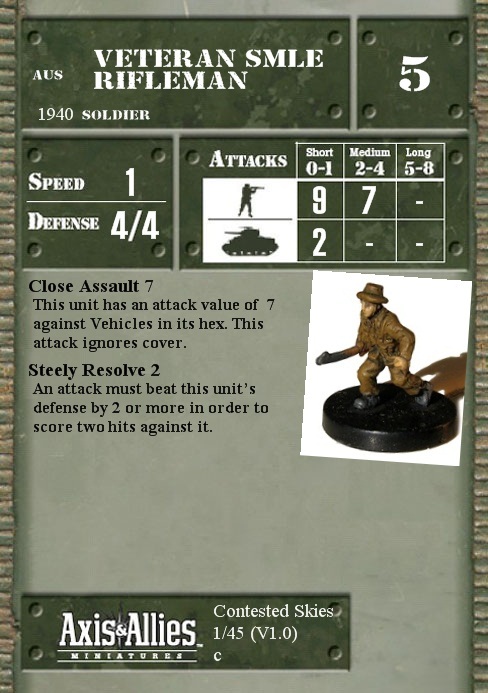 This unit has an attack value of 7 against Vehicles in its hex. This attack ignores cover. An attack must beat this unit’s defense by 2 or more in order to score two hits against it.